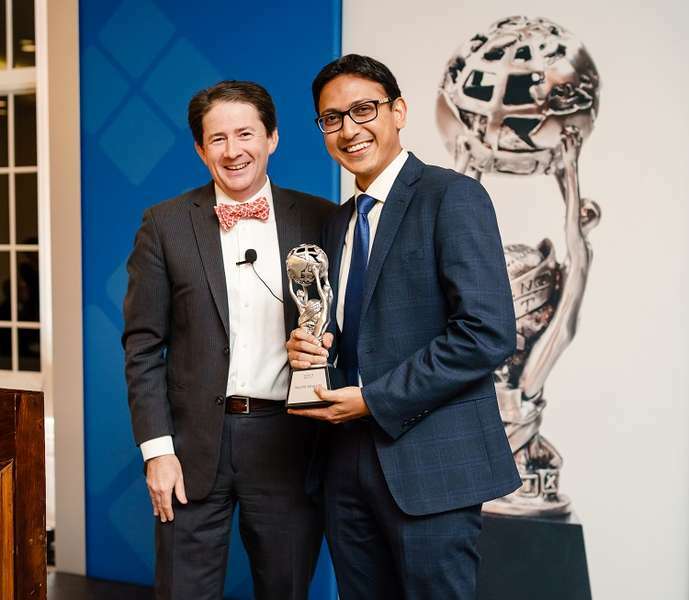 The illustrious Bell Labs Prize was awarded to Kaushik Sengupta, Assistant Professor in Electrical Engineering at Princeton University, for his invention of a radical new transceiver chip technology that could power a truly universal software-defined reconfigurable radio. The fourth annual prize winner was announced on Friday, 8 December, in Murray Hill, NJ, at the global headquarters of Nokia Bell Labs, after an exciting round of presentations given by extraordinary researchers across an extensive range of technologies. The 2017 winners demonstrated breakthroughs in advanced radio technology, flexible organic senor electronics, and new wearable power sources with an impact on “creating time” for humankind. Sengupta was joined on the podium by two other leading researcher teams. The second prize was a tie and was awarded to Tse Nga (Tina) Ng, Associate Professor of Electrical and Computer Engineering, University of California at San Diego, and Jason Azoulay, Assistant Professor of Polymer Science and Engineering, University of Southern Mississippi for their invention of new photosensitive polymer materials that can be used for health and medical monitoring through-the-skin with wearable, thin, flexible devices. Also in second place is Colm O’Dwyer, Physical Chemistry Professor at University College Cork, Ireland for his invention of a new class of 3D-printed batteries that could be incorporated into virtually any form factor. This year’s winners were hand-picked from among nine finalists, who were in turn drawn from a total of over 330 proposals from 35 countries. The prize winners demonstrated game-changing ideas in science, technology, engineering or mathematics with the potential to solve broader societal challenges humans face within the next ten years. In addition to their cash prizes, the winners will also be given the opportunity to collaborate with the world-renowned researchers at Nokia Bell Labs on the further development of their ideas. The nine finalists presented their ideas to a group of industry luminaries in the final judging event. Please join us in congratulating the 2017 winners!